PLAN CHECK APPROVED! Opportunity to develop a 3BR/2BA home on appx 12,388 SF lot in the quiet Beverly Hills P.O. area! 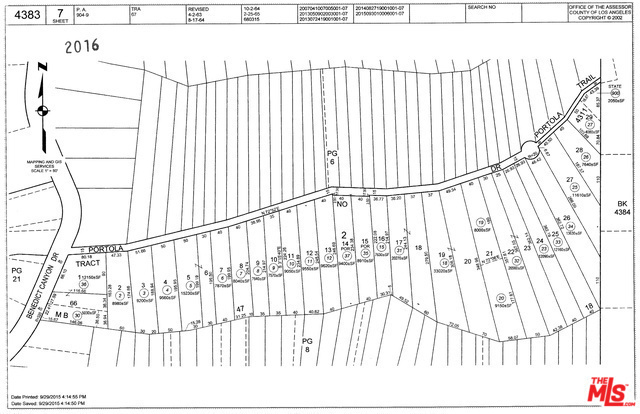 This is a land sale includes plans of three-story SFR over 2-car garage (currently in plan check) + reports. Property feat large living room with access to deck, dining area, open kitchen, spacious bedrooms, private master bedroom on 3rd flr with deck and rooftop patio for breathtaking canyon views. Ideally located in the heart of Beverly Hills Post Office surrounded by million dollar homes & just minutes to retail, shopping, restaurants in Beverly Hills/West Hollywood. Don't let this rare opportunity go by! Buyers to verify all info and rely on their own investigation. Plans available upon request. THIS IS A LAND DEVEOLOPMENT SALE ONLY.